Panic attacks or panic disorder in Reading, London, Oxford, Wallingford or Thame? The answer is at hand. I’m truly sorry if you’re here because you suffer from panic attacks / panic disorder. I’ve often used hypnotherapy in Reading, Oxford, London Wallingford and Thame to help people who experience these intense feelings and I’ve witnessed a good few in my therapy rooms. Those overwhelming, terrifying, floods of fear, trembling, nausea and suchlike may seem as if they’re never going to end. Many of my clients tell me that their first panic attack left them fearing as if they were about to die. The fear does, of course, pass but the fear of the next such attack remains behind and becomes a constant drain on energy, happiness and health. There really is good news. 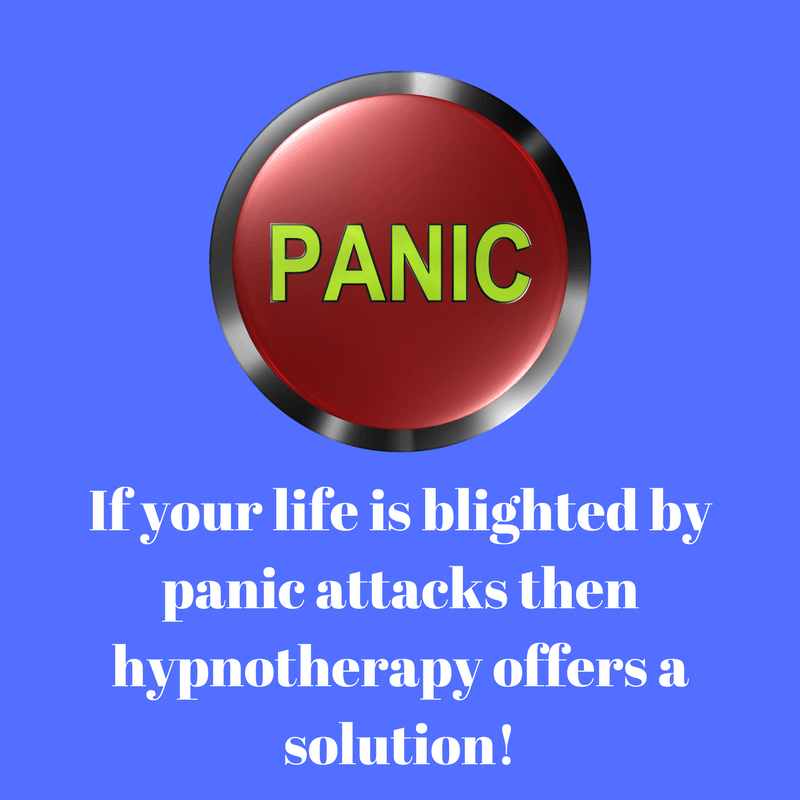 It’s that hypnotherapy is a wonderful way of overcoming panic attacks. 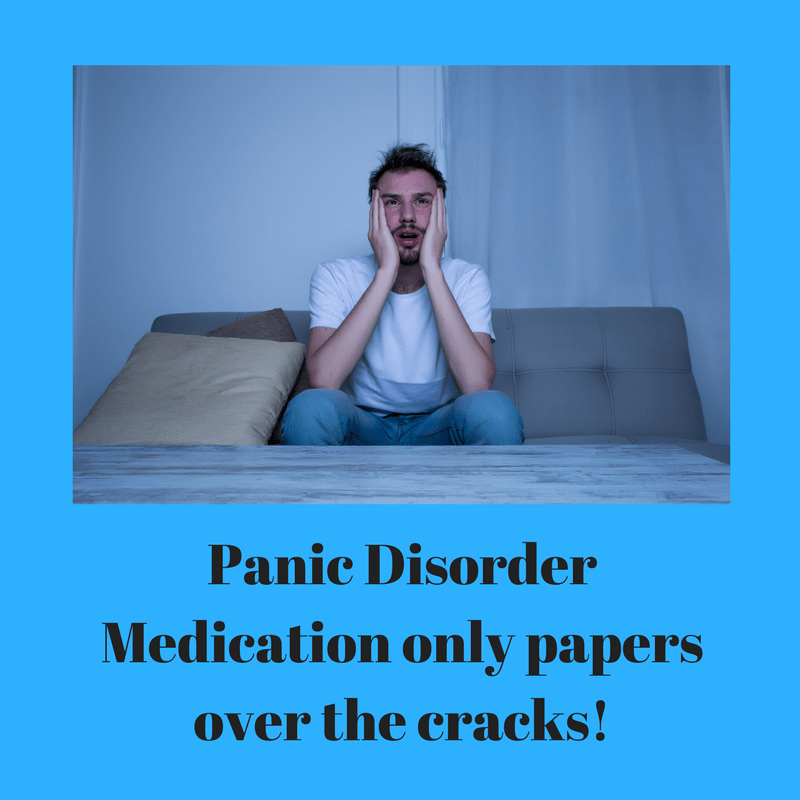 I have seen many clients with panic disorder and am happy to say that the condition responds extremely well to skilled, effective and compassionate hypnotherapy. If you’ve been for counselling then you may well have found that your attacks haven’t completely disappeared. This is because a panic disorder is a result of an unconscious process. Counselling is a wonderful method of dealing with many issues but it rarely, if ever, reaches the deeper recesses of the unconscious mind. I offer you skilled psychotherapy and counselling which is rendered all the more effective through the use of my major tool – hypnosis. Contact me on 01183 280284 / 07786 123736 if you live in Berkshire or Oxfordshire and if you’d like more information on how I work with panic disorder. Panic attacks often seem to come from nowhere. One minute people are carrying on with their busy lives and the next they’re sweating, breathing hard, feeling dizzy and wondering what on earth is happening to their bodies. Their first panic attack is upon them and the spiral begins whereby they seem to come more and more frequently. I’m sorry to tell you that panic attacks never come from ‘nowhere’. They’re always, in my experience, the result of a level of anxiety which has been suppressed and repressed. They don’t come from ‘nowhere’, they’re a venting of anxiety which has built and built and built over time. Many people are simply unaware of quite how anxious they are. If you’d like to read more about anxiety then click here. If you’d like to know why YOU are anxious then that’s another story with a thousand different, possible answers. We’ll be sure to find that out in order that we can put it right. There are endless reasons why people might become chronically and acutely anxious but they all (except for those, often, who’ve experienced a trauma) tend to reduce down to the ‘I’m not good enough’ lack of self-belief. Nocturnal panic attacks are, perhaps, the worst. I’ve seen a few clients whose panic attacks have largely taken place at night. It’s a terrible thing to wake up screaming. For teenagers and young people it can be particularly crippling. Gone are the sleepovers. Who’d want to risk that happening in another person’s house. Gone is the confidence with building new relationships. How can you invite him to stay when you might just freak out, during the night, and put him off? The good news is that nocturnal panic attacks are tackled in precisely the same way as those taking place during the day. Deal with the underlying anxiety and the attacks subside and die away. 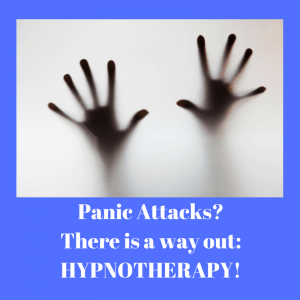 How does hypnotherapy for panic attacks work? Many of my clients will have gone to their GP and will have been put on medication. They’ll also, commonly, be referred to a local CBT therapist. This may work for some but if it doesn’t then they come to me. 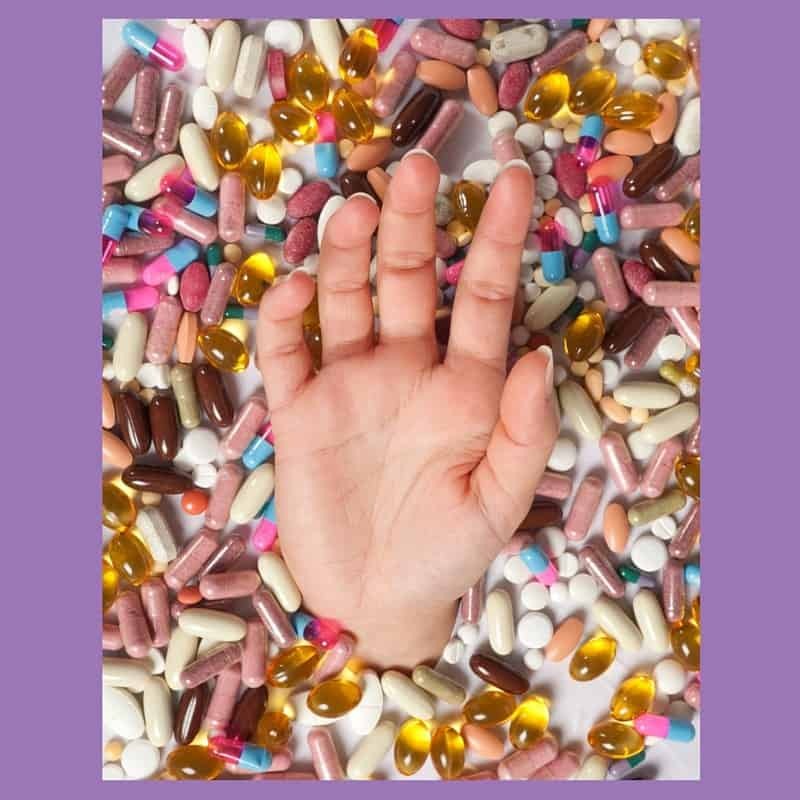 People often tell me that medication has diminished but not eliminated the panic. They’ll tell me that CBT has helped a little but that they still suffer. What can I do that’s different? Well, unlike medication I’ll work with both symptoms and cause. Unlike other forms of psychotherapy, our work will work with the unconscious parts of your mind, those parts which gave birth to panic to begin with. I work in a different way because I don’t believe that people are rational in their hearts. I believe that we are fundamentally emotional beings and that when emotions go wrong the room for reason is reduced. Besides, when we’re anxious the cerebral cortex (the rational part of our brain) receives less glucose. We are in fight or flight / survival mode and just can’t think straight. So, I help my clients on the emotional level. After all, as discussed above, panic attacks are due to suppressed anxieties. Let’s get that anxiety out in a safe, manageable and responsible manner. Let’s learn to regulate emotions in a less ‘stiff upper lip’ manner. Let’s stop condemning ourselves for feeling this way. Relax around anxiety and it begins to fade. It sounds strange, but you really can learn to ‘relax around anxiety. When there’s no more anxiety to suppress, it doesn’t come out in the form of panic. I’ll teach you how! I’ll teach you to let go of old negative beliefs about yourself. I’ll help you to see yourself the way I’ll see you: as a wonderful human being who doesn’t deserve to feel this way. You don’t need to feel this way anymore. I’ll be here to help you whenever you’re ready to call. Hypnotherapy is a wonderful way of leaving anxiety disorders behind. Hypnosis doesn’t have to be relaxing but it can be EXTREMELY relaxing. Let me help you to feel relaxed again, to learn how to relax at home, at work, out and about and to set yourself free from panic. 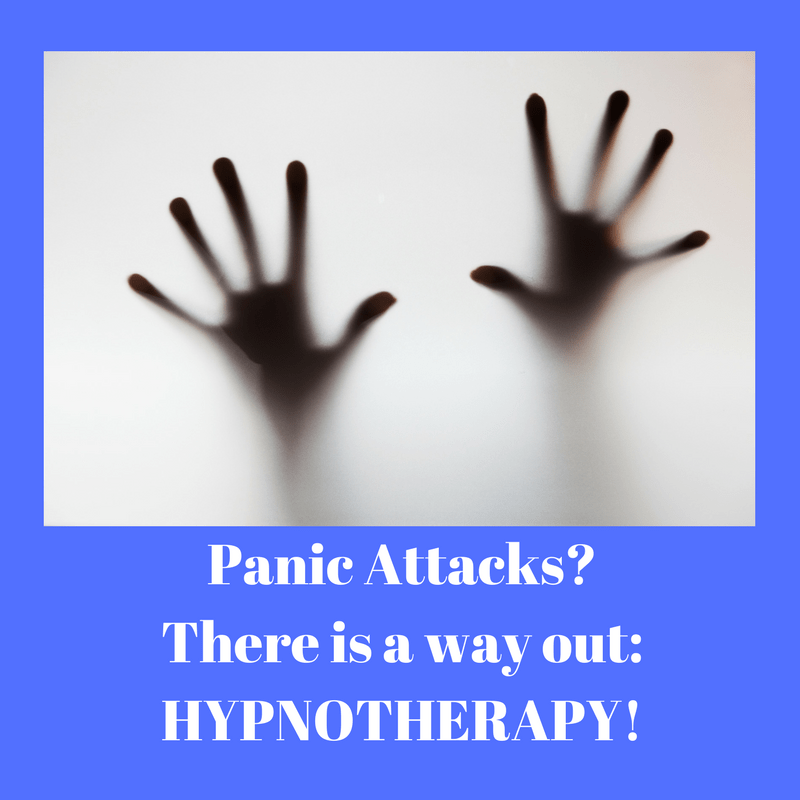 There are so many people in Reading, Oxford, London, Wallingford and Thame who have set themselves free from panic because they came for hypnotherapy. You could be next! It’s worth the price of a ‘phone call to find out, isn’t it? You could call me on 07786 123736 / 01183 280284 / 01865 600970, email me at paul@resolvedhypnotherapy.co.uk or contact me using the form below. This isn’t intended to disparage CBT. There are plenty of people for whom it works wonders. I tend to see those, however, for whom it doesn’t.